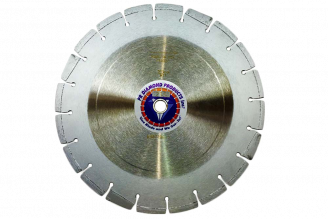 Our 330 Series Supreme Cured Concrete Blades are wet cutting and made for push saws 8 to 18 HP. We make these blades to order for your aggregate and type of saw. 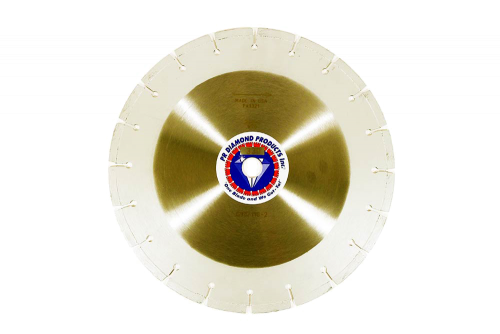 With jumbo segments, high grade diamonds, and 38-40% concentration, you'll see increased speed of cut and maximum life. Available sizes 12" - 60"